Gus Davenport is shown receiving $100 from West Side principal Robert Sain as reward for being West Side’s top “Ten for $10” fundraiser. The photo was taken with other students at “Lunch with Mr. Sain” at Applebee’s in Murfreesboro. 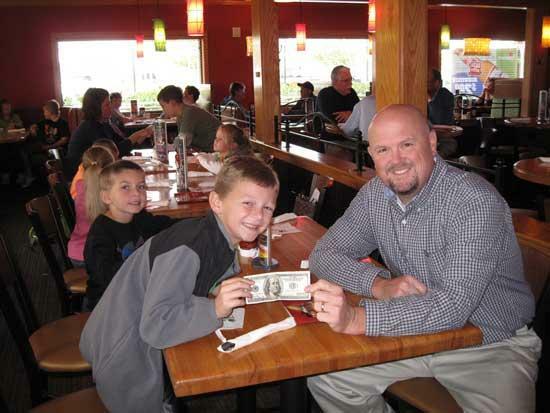 The lunch was reward for students who met the school’s “Ten for $10” goal of $100.